Saudis take pride in the call for prayer (Azan) by Sheikh Mohammed Mulla, the famous muezzin of the Grand Mosque in Makkah and everyday the high pitched call for prayer not only fascinates worshippers in Makkah but the world over wherever the call for prayers is aired. But does that mean that only an Arabic speaking can have this fascinating and all-appealing voice? 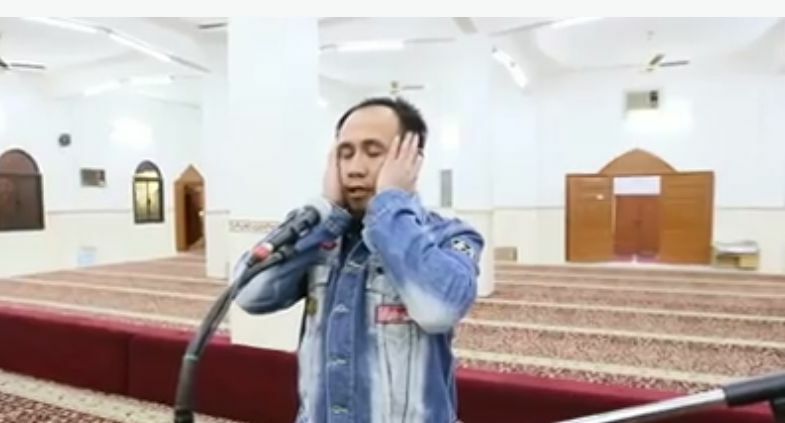 Well you will be surprised that a Filipino Muslim has surprised, rather stunned, many including the Saudis when his call for prayer was heard from the Hamza bin Muttalib mosque in Al-Uraija district, west of Riyadh. The imam of the mosque even invited journalists to listen to the Muslim expat's amazing call to worship.